The holidays are a time of cheer and tradition, no matter which you celebrate. 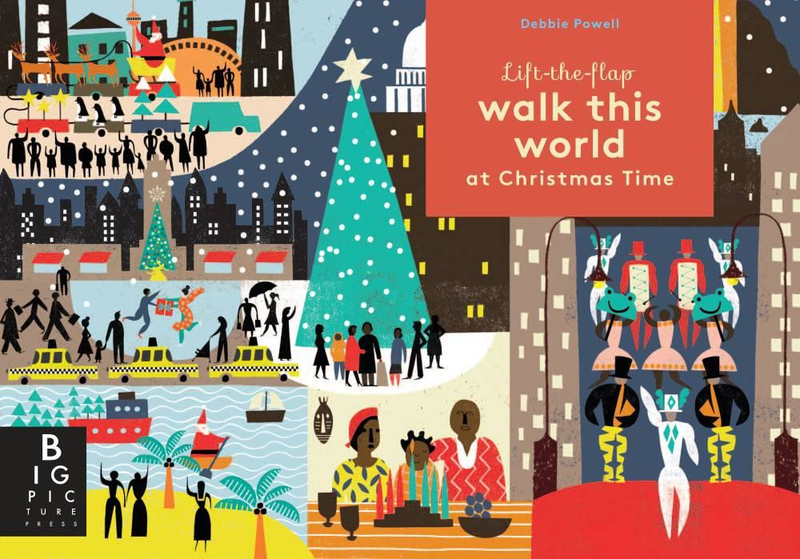 Through these picture books, children can learn about the holiday season, as well as about values such as family bonds and kindness. 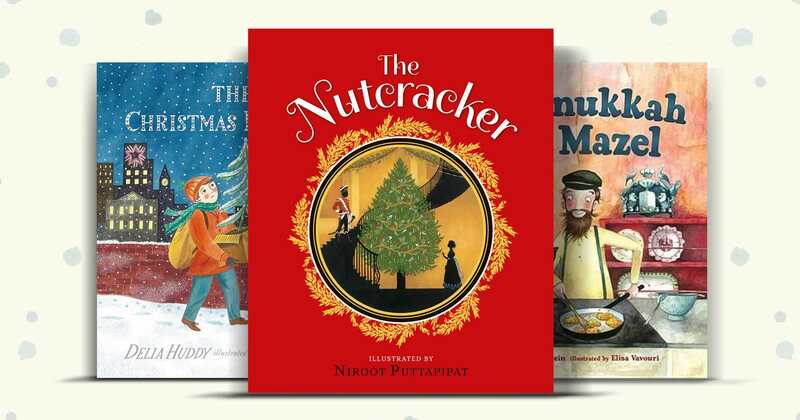 Included among these ten books are some delightful tales for a variety of holiday moods and traditions. 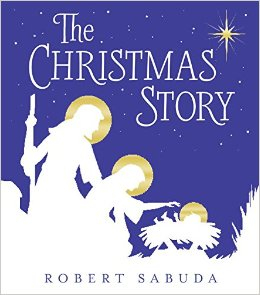 This is the familiar story of Jesus’s birth, told with pop-up pictures of white and gold. Each scene is minimalist, with only outlines drawn. Still beautiful, the basic white garnished with gold completes a scene that might be drab otherwise. Each pop-up shows a beautiful moment, with simple details that fill in edges of a main scene. 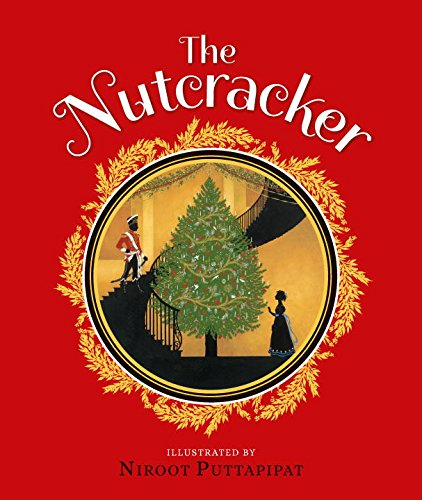 Children will be enraptured by the pages, and it’s perfect for adults to read aloud in accompaniment. Those who have read O. Henry’s The Gift of the Magi will be familiar with this reimagined tale of Bobby and Bella, twins who want to get each other the best Christmas present they can. 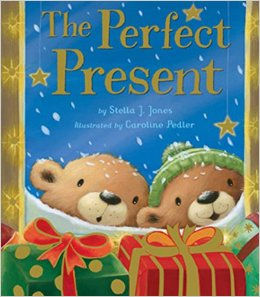 Children will love the adorable pictures and parents will appreciate the depiction of a strong sibling bond. With delightful rhymes, How to Catch an Elf slots itself into place along such classics as “The Night Before Christmas.” Of course, there’s some updated technology, such as the Elf Snatcher 3000. Its cute language is great for reading aloud and the pictures are sure to get a giggle. Daring escapes and goofy traps make the story great fun. 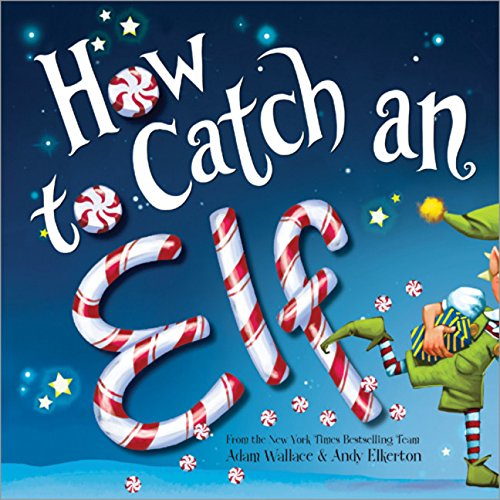 With hijinks galore, kids may just come up with some new ways to capture Santa’s little helper. In A Hanukkah with Mazel, a man named Misha finds a cat in his barn to spend the holiday with. The traditions shine when Misha explains them to Mazel. 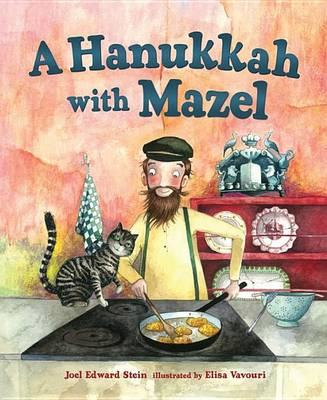 The way the traditions are shared with a newcomer may be relatable to children with not much knowledge about Hanukkah, who will learn from Mazel’s point of view. 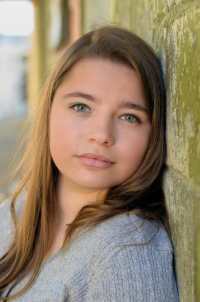 Children familiar with the traditions will delight in Misha’s version of the holiday. And all children will enjoy the bond between this kind man and his cat. 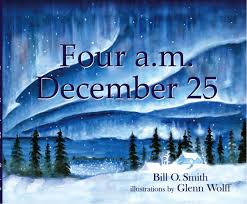 In Four a.m. December 25, beautiful illustrations depict a sleepy, but still slightly awake Christmas morning, with small details hinting at an undercurrent of a storyline. The sweet moments across the world lead up to a family’s Christmas night, missing a very important person in their celebration. Skillfully implied while still remaining subtle, children with parents in the armed forces will appreciate the young girl’s difficulty in enjoying Christmas night without her father. 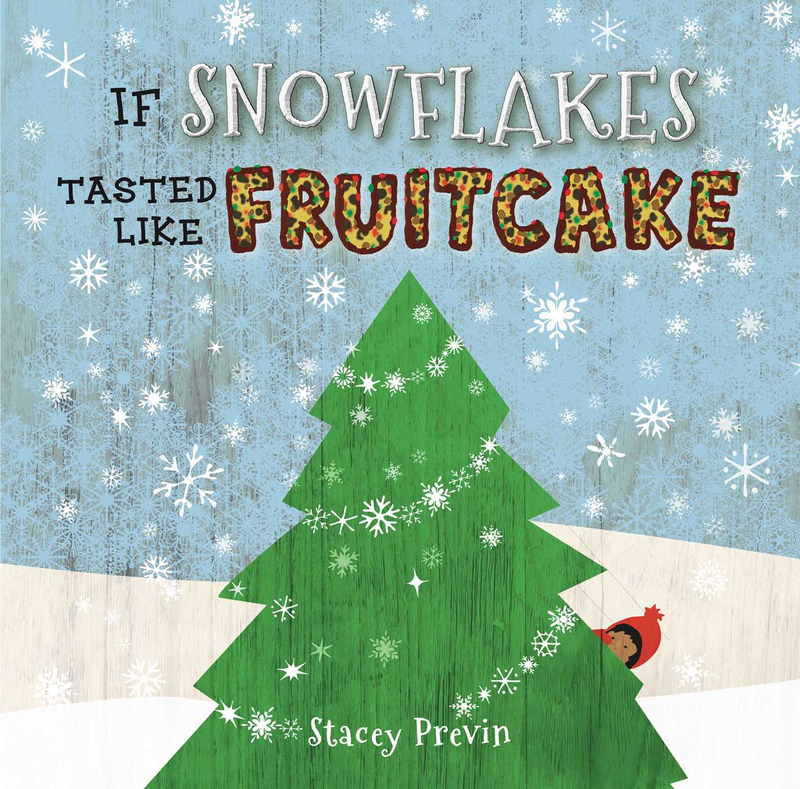 In this delightful tale, a child ponders what it would be like if snowflakes tasted like different foods. The illustrations that show the child doing different things with the snowflakes are charming and occasionally silly, such as the roasting of snowflakes by the fire as if they were chestnuts. The overall tale is amusing. It’s the creativity that stands out—and, of course, the yummy food! Some may be familiar with the ballet by Tchaikovsky, with the beautiful music and dances. In this version, the story is told, but the words also a backseat to the beautiful visual display. The characters and setting is pure black, garnished with colorful and intricate details. The colors are reminiscent of candy, and create lovely images. The greatest of all is the pop-up page at the end depicting the famous performance of the different cultures—and, of course, the Sugar Plum Fairy. Scenes from all around the world in Walk this World at Christmastime are accompanied by the question “where am I?” and an answer. Each new place has its own traditions to discover that are different and exciting. One culture may be particularly intriguing for some young readers, so be prepared to do some research and perhaps incorporate some new traditions into your own celebration. Each page depicts the overall place with little flaps to unearth for even more fun. With a rather sad little beginning, The Christmas Eve Tree shows that a little fir tree had the power to make a young boy happy. With just a box to sleep in, the boy makes the best of his Christmas with the tree’s help. 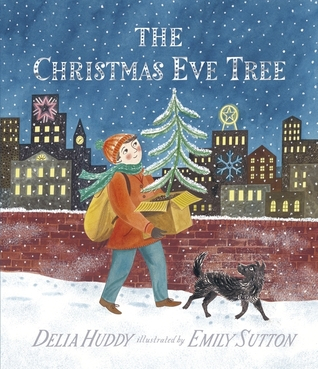 The pictures show a happy Christmas time, even for the bittersweet situation the boy finds himself in. Children may have questions about where the boy’s family and house are, so parents should be prepared to talk about homelessness. The holidays are a time for family and love, but sometimes the ones you love can inadvertently cause strife. 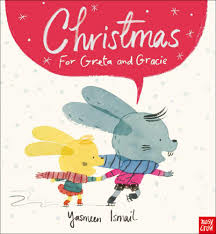 Siblings who find themselves overshadowed by another will see themselves in the younger Gracie, the quieter sister of the two in Christmas for Greta and Gracie. The mixture of dialogue and narration is a good balance, perfect for showing the relationship, rather than telling about it. If you have a shy child with a boisterous sibling, this may be the perfect book to give them some focus.